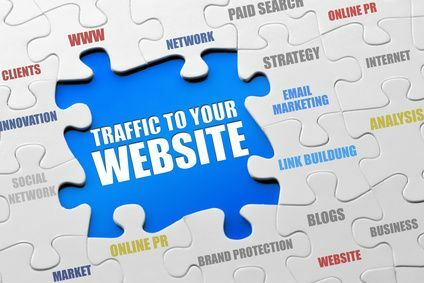 Who wants highly targeted free traffic to their website? Everyone does right? So, all you have to do is rank high in the search engines for words related to your product or service and you’re set. Well, if you’ve been on the internet for any period of time then you know this is much easier said than done. In fact, it can be darn right frustrating and extremely expensive to chase the elusive #1 ranking in google. However, Here are some tips on how to increase your website ranking in search engines by providing the right kind of content to your audience. Keywords are extremely important but so is an engaging headline. Many times if you’re keyword stuffing your headlines it isn’t very reader friendly and often times not engaging at all. Think about how it will look in social media. People are liking, commenting, and sharing on titles that are catching their eye, often in 140 characters or less. Try to get your keywords in a catchy, engaging headline. Having trouble coming up with a headline for your blog post? Go take a look on google and see what people are searching for around the keyword you want to target. With the new google hummingbird update, gone are the days of slapping up a bunch of keyword rich content. Your articles need to be engaging and reader friendly so people “like” and share them. Put yourself in the shoes of your readers. Would you like, share, retweet, or +1 your article? Use as many words as necessary to make your point and provide your education but don’t make your post longer just to fit in more keywords. Remember, engagement is extremely valuable. Depending on how long you’ve been marketing online, you may have enjoyed some high rankings from time to time without really knowing exactly what you did. You also may have seen your site completely disappear from search engines altogether overnight. Google and all other search engines are constantly changing and updating their algorithms to serve their searchers. You need to stay on top of the updates to make sure you are reacting to them in a timely manner in order to keep or improve your search engine ranking for your website. The new google hummingbird update is the most significant update google has done in several years and is extremely important to be aware of. In summary, create likeable sharable keyword rich content that will engage your audience. Put things out there that will start a discussion and get retweeted or +1’d. Controversial topics are a bit of a double edged sword but almost a guarantee for lots of comments, use at your own risk. P.S. Do you have any SEO tips you’d like to share? If so, comment below.